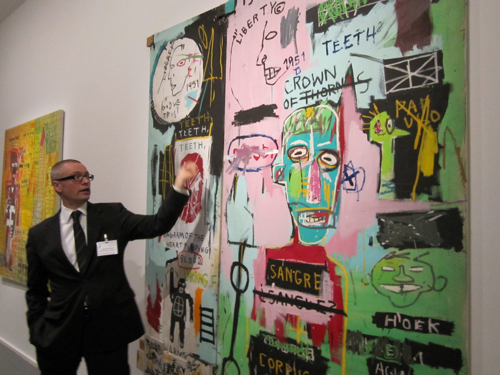 When Jean-Michel Basquiat burst onto the art scene in 1981, his paintings of anguished figures were hailed by some critics as works of a genius. He came out of nowhere. Who was this angry young man? Just a son of Haitian and Puerto Rican immigrants. Where did he come from? From the New York underground scene. 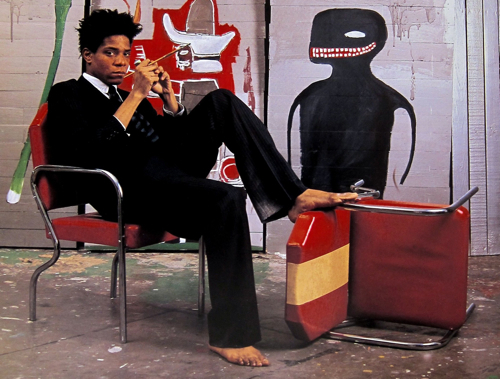 Basquiat was a graffiti sprayer when he decided, at the age of 19, to become a world known artist. Strangely, it worked. During the eight years of his short career he created an extensive oeuvre of about 1000 paintings and 2000 drawings. He was not only the first black artist making a highlevel breakthrough, he also was the youngest Documenta participant ever. Owing to his work and his temperament, he was one of the most fascinating and controversial personalities of the art world. 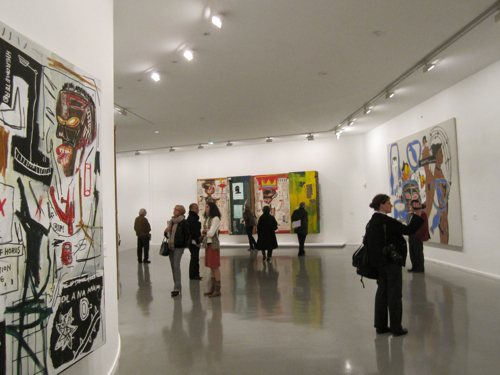 But he simply was Basquiat: Somebody full of rage and power, hungry and in a hurry. He probably felt himself that there was little time left for him and realized his paintings and drawings in high speed and excessively before he died of a overdose at the ages of only 27.